Does Your Expert Witness Meet Florida’s Requirements? Medical malpractice claims seem straightforward: you received medical treatment and were injured as a result of that treatment. But Florida wants to ensure that a medical error rises to the level of malpractice before someone can bring a medical malpractice lawsuit. For that reason, Florida law requires patients contemplating medical malpractice lawsuits to hire licensed physicians who will review their medical records and provide a sworn statement that a hospital, doctor or other professional failed to meet the appropriate standard of care. In 2013 the state legislature enacted new guidelines for determining who qualifies as an expert witness for medical malpractice cases. 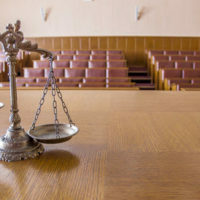 Under that law, Florida follows what’s known as the “Daubert standard.” But the future of this law is uncertain after a February 2017 ruling by the Florida Supreme Court, which rejected the standard to the extent that it’s procedural. The court’s decision is complicated because it did not consider the substantive, non-procedural points of the law. Such uncertainty in the law is one reason you need an experienced medical malpractice attorney. To be considered an expert witness under the Daubert standard, an individual must meet certain criteria. For example, was the medical theory or technique used to assess the patient’s case tested and peer-reviewed? His or her theory must also be accepted by the scientific community. An experienced attorney can help you understand these and other criteria and ensure that your expert witness meets these legal requirements. Just because a physician serves as an expert witness once doesn’t mean he or she can testify in subsequent cases. There are situations in which a seemingly qualified witness doesn’t actually meet the legal witness standard. Having an unqualified witness can completely upend your medical malpractice lawsuit. That’s why you should always consult with an experienced attorney who can ensure that you have a qualified and well-credentialed expert witness testifying on your behalf. South Florida Dr. Richard Dellerson testified as an expert witness in dozens of medical malpractice cases, but a few years ago he almost lost his medical license. In 2013 the Florida Board of Medicine determined that Dellerson had made “misleading, deceptive or fraudulent” statements” in two malpractice cases. The board found that Dellerson had exaggerated his medical credentials. Recently, a judge found that Dellerson also failed to meet the legal requirements to be an expert witness in a 2009 malpractice case. False testimony is a big deal. It could be the end of your case if your witness lies under oath. If you have been injured by a medical professional’s malpractice then you deserve compensation. But you won’t be entitled to that compensation if you don’t legally and effectively prove your case. If you or a loved one has been injured by medical malpractice, contact a Miami medical malpractice attorney at The Pendas Law Firm today for a free consultation. We will find an expert witness for your case and help you recover the compensation that you deserve. The Pendas Law Firm also represents clients in the West Palm Beach, Orlando, Fort Myers, Fort Lauderdale, Jacksonville, Tampa, Daytona Beach and Bradenton areas.